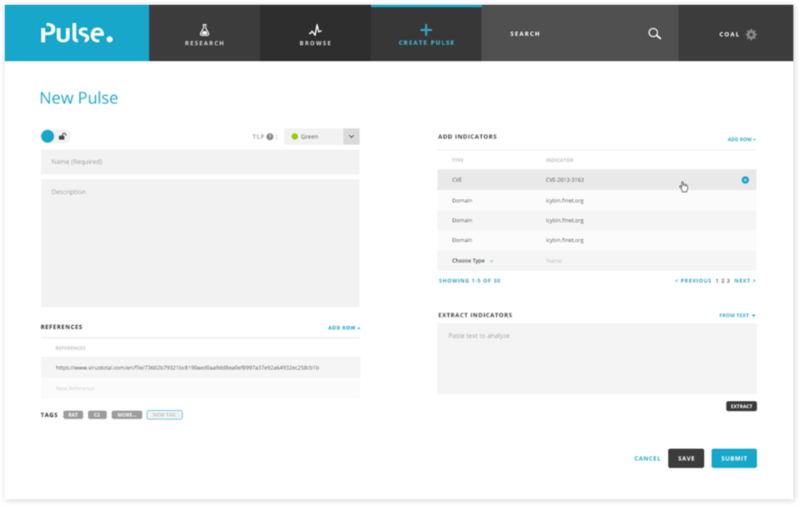 AlienVault, a threat management and compliance company, needed help with a new platform. The vision was for a place where IT and security practitioners could pool their collective knowledge and move towards a community-based approach for sharing threat intelligence. I worked with the AlienVault project manager and another designer at ANML to understand specialized user needs. I sketched, researched web apps, created wireframes, and delivered final designs. I went through three rounds of design reviews with the AlienVault team. AlienVault had a low-fidelity wireframe as a starting point. Our goal was to create a lightweight interface that did not overwhelm the user with information, but provided it as needed. The goal was to allow for social sharing about threats. 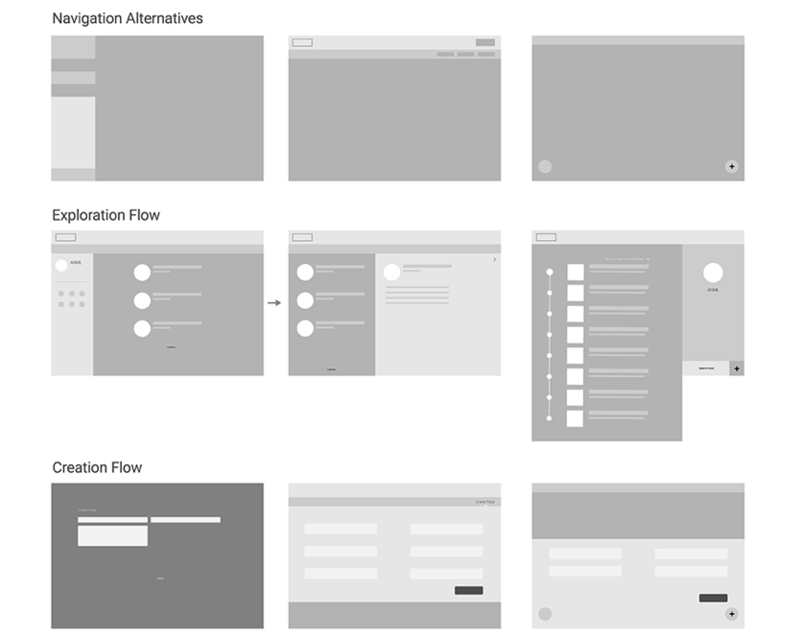 I explored navigation options, and drew out rough page layouts based on the prototypes and our knowledge of the user flows. The product had to satisfy two types of users: domain-experts who submitted information about security threats, and the users that came to explore and consume that information. Based on their research, AlienVault anticipated the majority of the users to be content consumers, but the content-creators were also vital to the success of the product. Because the creation was so important, I decided to allocate it to its own tab. The average user would be spending a lot of time exploring and consuming the content about security threats. I decided that a list view with minimal information would be most space-efficient. When the user wants to preview the item, they can open a panel with more information that slides over the right. If they want all the details, they could dive one level deeper for a full-page view. I brought in colors and iconography from the parent product, but kept the UI light to balance the large amount of information. I needed to keep the UI usable and appealing to average user, but also to the technologically savvy expert, who may not be interested in flashy designs.